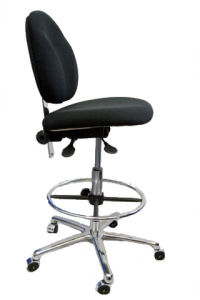 ESD (Electrostatic Dissipative) seating combines MURVAN’s ergonomic features with dependable static control features. 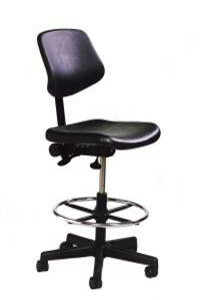 From the special ESD fabric or vinyl upholstery to the grounded casters theses stools offer comfort and durability for the special requirements of the electronics industry. Various models available that meet Wipe Down, Class 1000, and Class 100 clean room specifications. 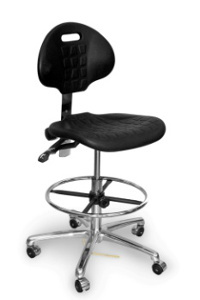 Polyurethane or vinyl upholstered seats and backs.